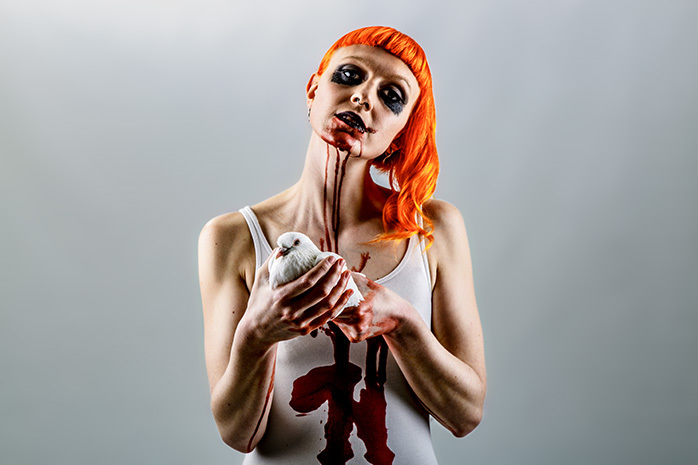 Mishkin is one of my talented friends in BirdEatsBaby and ‘Serephim‘ is her first solo EP. Shooting wise I had 1 light bounced on the white backdrop. Then 2 x large softboxes opposite each other lighting Mish on either side, no front light, so we had some great gothic modeling lighting on her body. In post, after cleaning the backdrop, I dodged and burned certain areas of her, bringing out the tensed body and making the photograph feel more like a painting.